We recently sat down with one of our most adored floral vendors, Hydrangea Bloom. Hydrangea Bloom is a florist based in North Liberty with a focus in weddings and special events. If you choose Hydrangea Bloom, you are choosing more than just flowers! 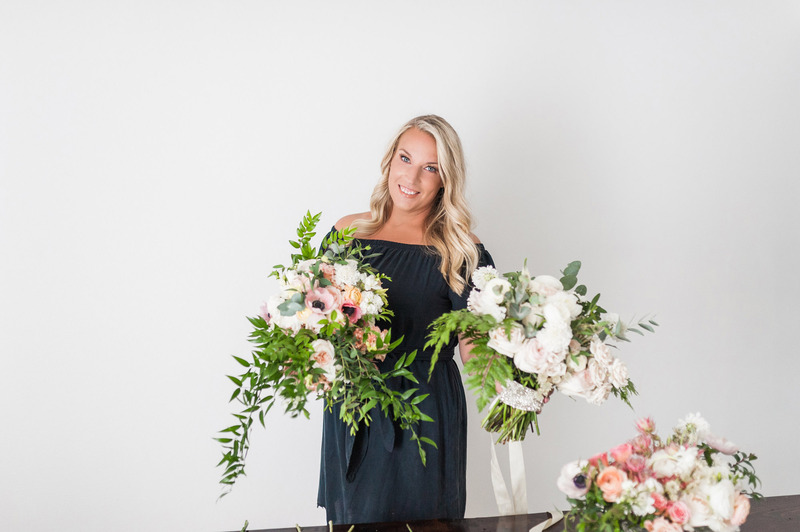 When coming up with the idea to start her own business, Allison Krivachek saw a need for a better, more personalized design process when it came to designing flowers and curating the intricate details of weddings. Hydrangea Bloom has a goal to alleviate the stress and bring the fun back to choosing wedding florals. One of the most pressing questions we get from our brides is: where do you start when selecting a florist and floral designs? There is so much to consider, and it can be overwhelming at first. 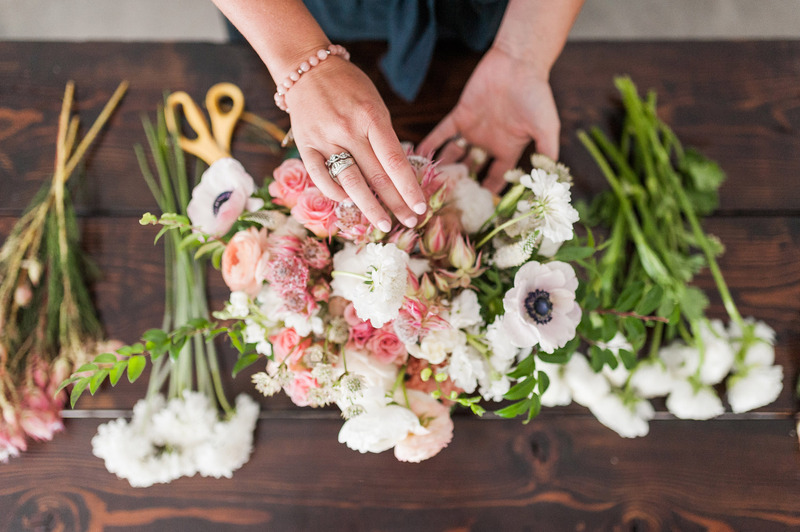 Here are the 5 things Allison recommends doing before you choose a florist! Allison recommends creating a vision board using Pinterest or any social media site to get an idea of what you are looking for. This will help a florist understand your preferences, and bring your vision to life! 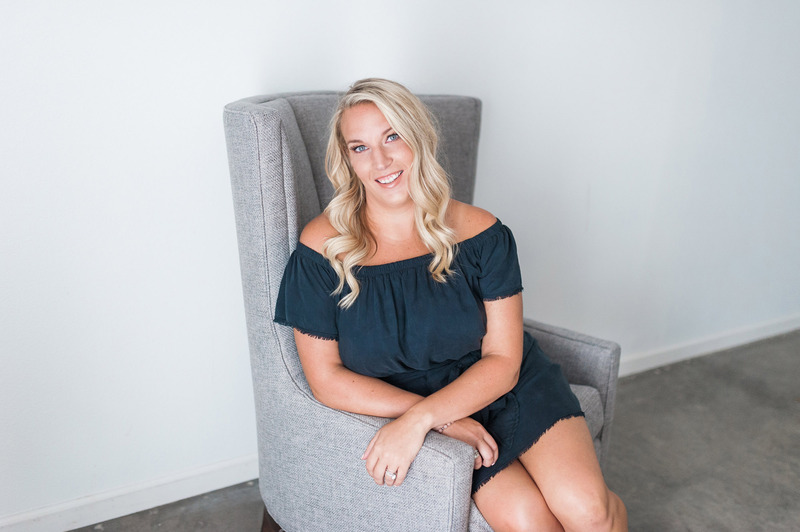 Once you’ve got an idea in mind, Allison recommends doing an online search to see which flowers will be in season for your wedding. This can influence pricing and maybe affect your floral decisions. Don’t be scared of color variety! Even though you likely have a color theme in mind, your bouquet will look even more stunning if there is a variation in color and texture. Additionally, colors that are complementary to your color scheme will create a dynamic look. Allison is amazing at taking your vision and incorporating her skills to create your dream floral designs. Use your vision boards to get an idea of your ideal bouquet size. Looking at pictures to understand the way that the bouquet will look in photos is a great way to get a feel for what size bouquet you want. 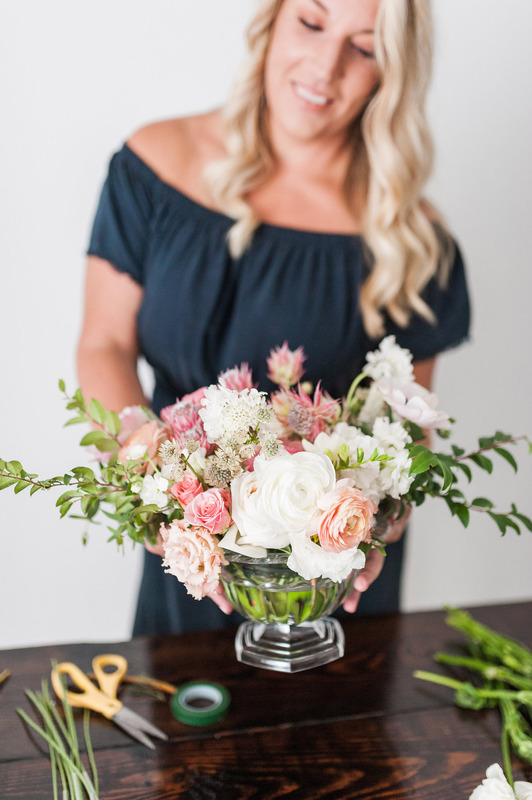 Allison hand makes each and every bridal bouquet herself and she wants it to be exactly what you are envisioning. Last but not least, do your research on the typical cost of floral arrangements to help you get an understanding of how much of your wedding budget to allocate to florals. It may surprise you, but floral arrangements can be costlier than you might initially think. The higher the variety and the more flowers you plan to use throughout your wedding ceremony and reception, the higher you will need to set your budget. Try to be realistic about your budget! Floral costs with Hydrangea Bloom start at $1,500, but the typical client actually spends about $3,000-$5,000 for their wedding flowers. Hydrangea Bloom creates ultra-customized florals for weddings and events of all sizes and will incorporate current trends to bring every bride’s vision to life. Florals can make such a big difference in your wedding décor, and it is critical to make sure you have a florist you can trust to implement your dream look. 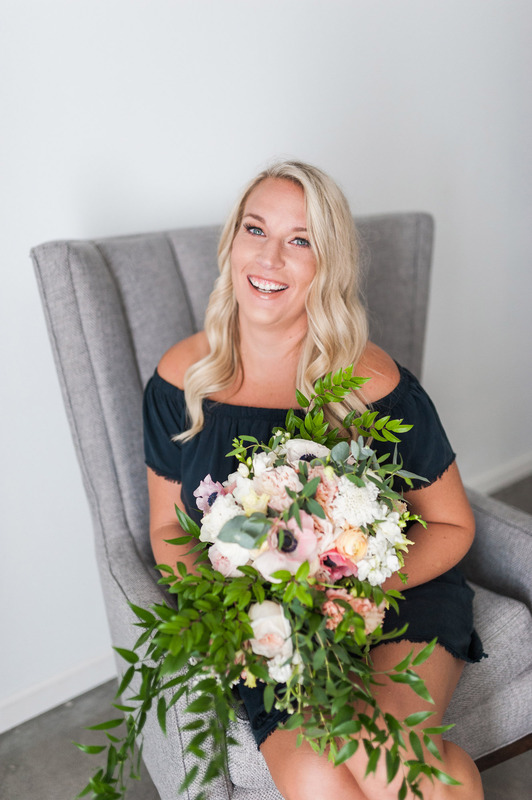 Hydrangea Bloom loves working with couples who are excited about the design and aesthetics of their big day, and they are beyond dedicated to their work. 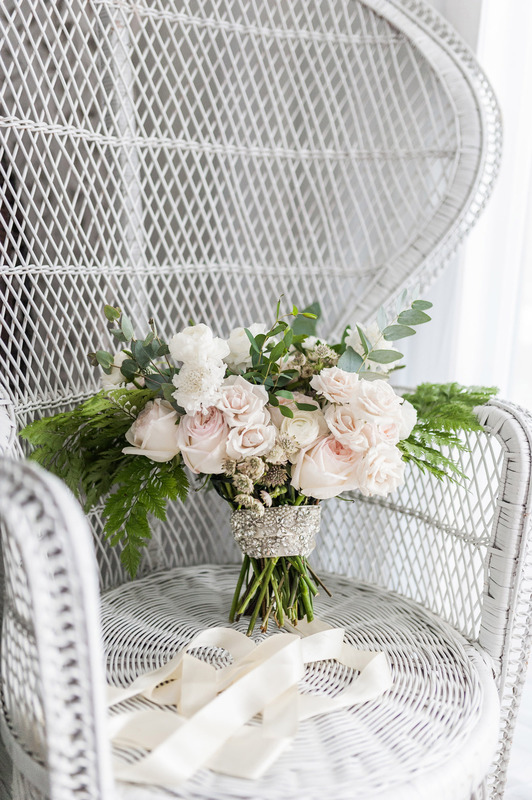 If you are looking for a wedding florist, contact Hydrangea Bloom today!